Levi's has a $6.6B valuation , and it wants you to know. In this second stint as a public company, shares rose more than 30% in the first few hours of trading. Under new leadership, the 165-year-old company has reduced a crushing debt load, ramped up its marketing, and invested in different product categories. “The single best thing the company has done is to try and diversify the portfolio so they’re not so dependent on men’s,” says Craig Johnson, president of retail consulting firm Customer Growth Partners. Tops and women’s jeans are now the fastest-growing parts of its business. In 2018, revenue from its tops grew 38% to $1.1 billion, driven by the popularity of its logo T-shirts. After revamping its women’s line, sales climbed 29% to $1.6 billion. According to NPD Group, sales of women’s jeans increased 9% in the twelve months ending July 2018, outpacing the 5% sales increase for the overall denim market. Did backpacks ever really leave? Eight startups are unmistakably producing backpacks for adults made from premium materials like leather (both real and vegan), neoprene, and canvas. 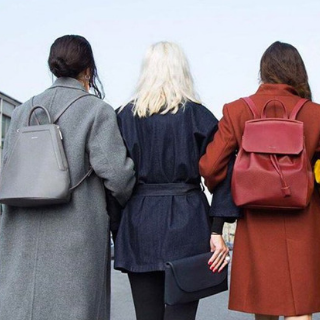 Reinforcing our recent backpack coverage under 2019 handbag trends, these renditions are designed to consider the needs of the modern commuter and traveler and tend to cost around $100 or more. Starting in April, Century 21 with be launching a campaign featuring New Jersey and New York natives. 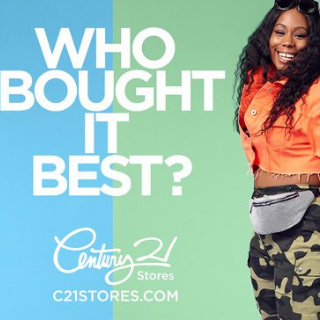 The campaign emphasizes the company's luxury-plus-value proposition with side-by-side comparisons: real Century 21 customers or employees will be decked head-to-toe in designer duds, one having bought them at another retailer, and the other who "bought it best" at Century 21. This week Instagram announced a closed beta rollout of Checkout on Instagram, a new feature that lets mobile users complete and track purchases without having to leave the app. A "Checkout on Instagram" button will now appear when users tap a shoppable post from brands participating in the early access test, allowing shoppers to browse through different product attributes before completing purchases. Users will be able to enter their name, email, billing, and shipping information, which Instagram will securely store for any future use. The app will also send notifications with tracking and delivery details so buyers can keep tabs on their orders. Adidas, Nike, H&M, Uniqlo, Zara, and Warby Parker are amongst the more than 20 brands working on the beta, and Instagram plans to introduce more businesses in the near future. The full list of partners can be found in an Instagram blog post. WILL YOU USE AMAZON ADS? Almost three-quarters (73%) of daily or near-daily online shoppers have clicked on an Amazon product ad while browsing the web. What's more, 83% purchased the product and 60% said the ads were helpful. 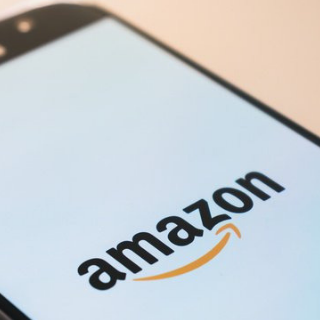 When browsing Amazon, 76% of daily Amazon shoppers have clicked on a product ad, according to Feedvisor's "2019 Amazon Behavior Report." Sound tempting? The Daily Front Row hosted the 5th annual Fashion Los Angeles Awards, honoring the biggest names in the industry. Many of the presenters and honorees were close, creating a lax environment for beautifully heartfelt speeches — and some hilarious jokes from host Celeste Barber. Click here to watch a highlight reel, and read some of the best quotes below.